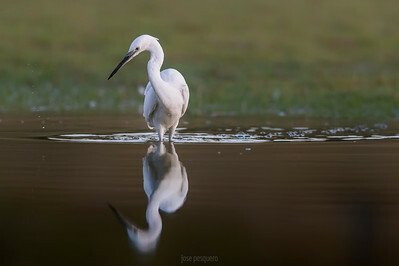 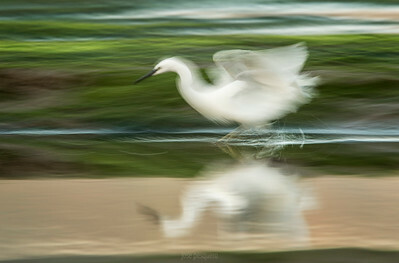 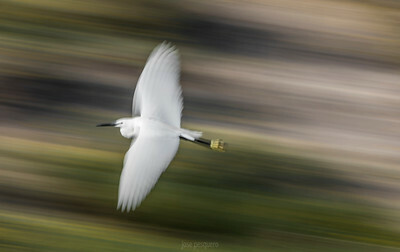 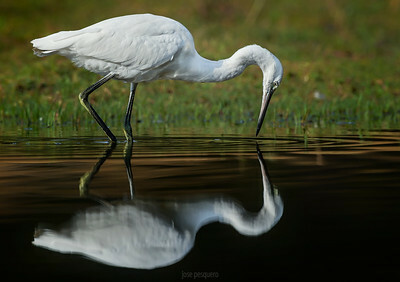 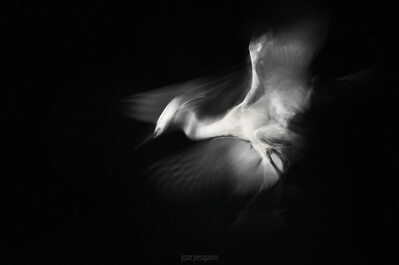 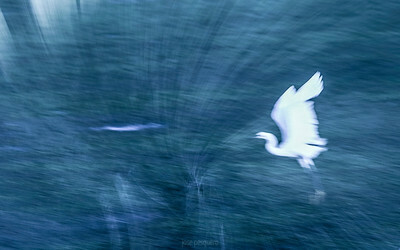 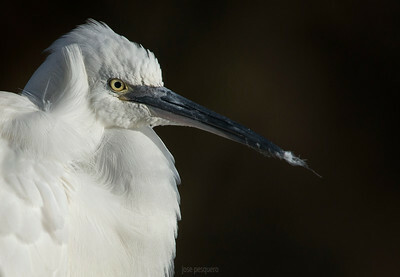 The Little Egret (Egretta garzetta) is a small white heron. 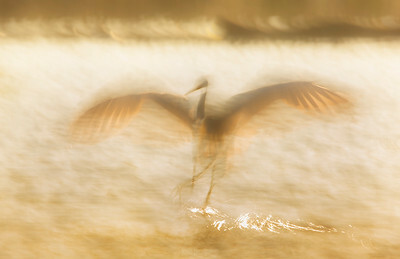 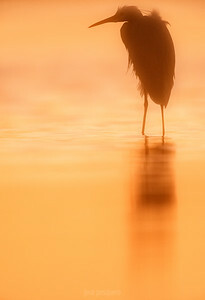 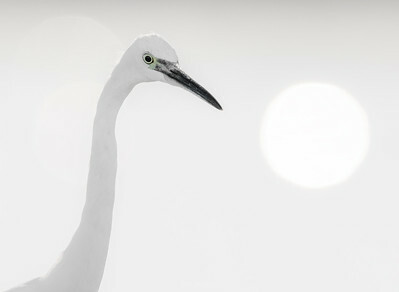 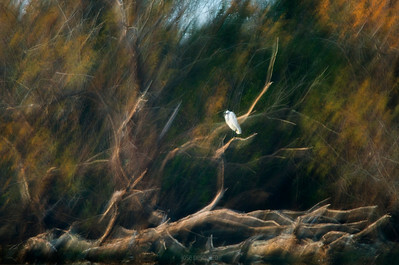 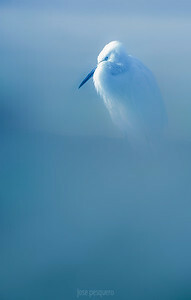 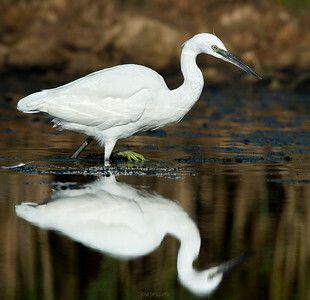 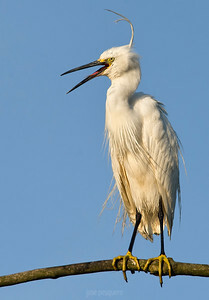 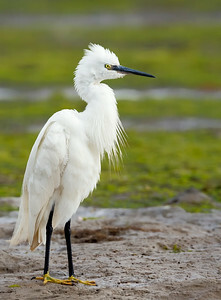 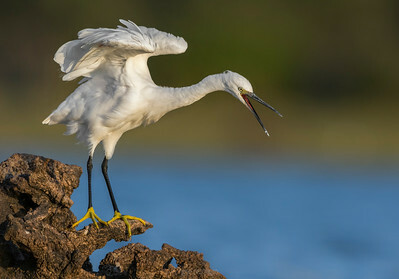 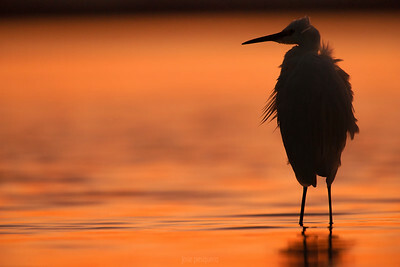 The adult Little Egret is 55–65 cm long with an 88–106 cm wingspan, and weighs 350–550 grams. 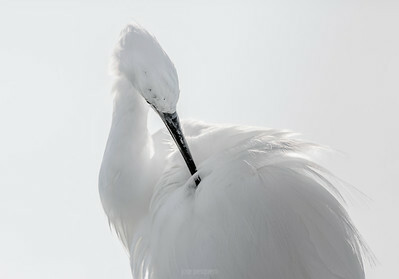 Its plumage is all white. 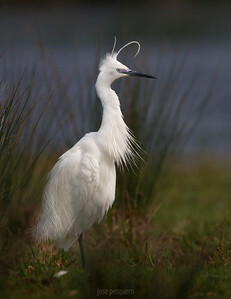 In the breeding season, the adult has two long nape plumes and gauzy plumes on the back and breast, and the bare skin between the bill and eyes becomes red or blue. 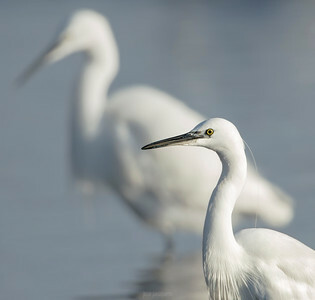 Juveniles are similar to non-breeding adults but have greenish-black legs and duller yellow feet. 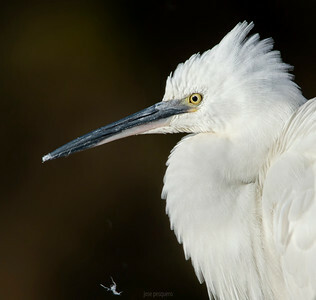 has yellow feet and a bare patch of grey-green skin between the bill and eyes. 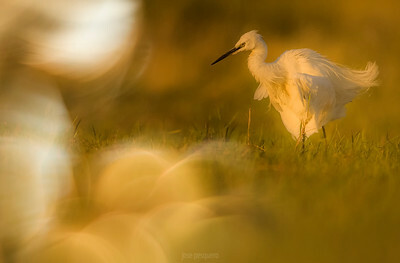 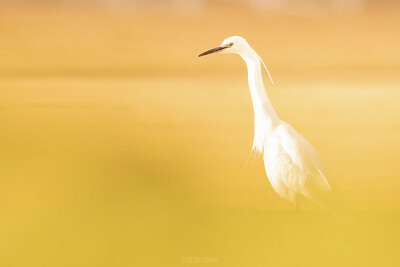 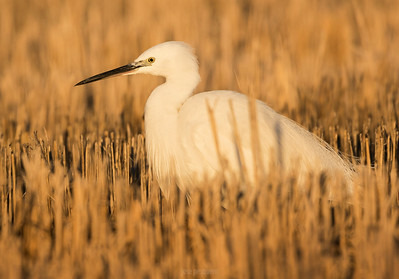 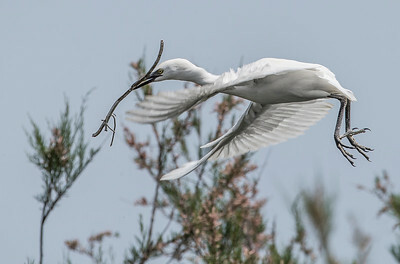 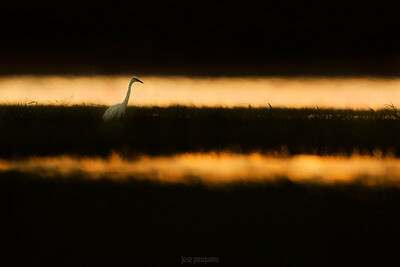 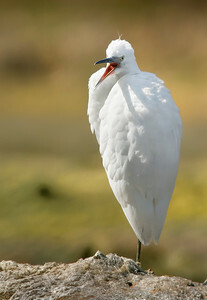 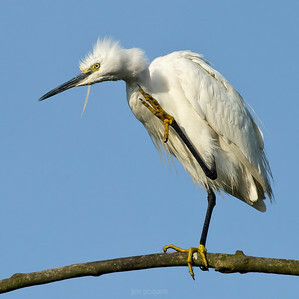 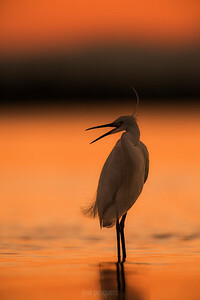 Little Egrets are mostly silent but make various croaking and bubbling calls at their breeding colonies and produce a harsh alarm call when disturbed. 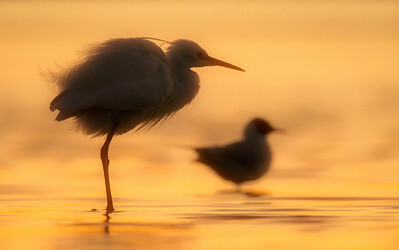 A couple of little egrets. 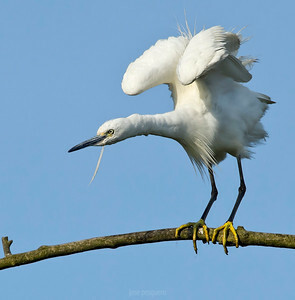 Little Egret standing on the branch. 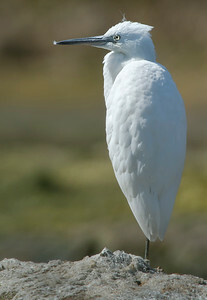 Little Egret standing on the rock beside the river.